The kiwis are loose! Who will manage to land four birds in the square? 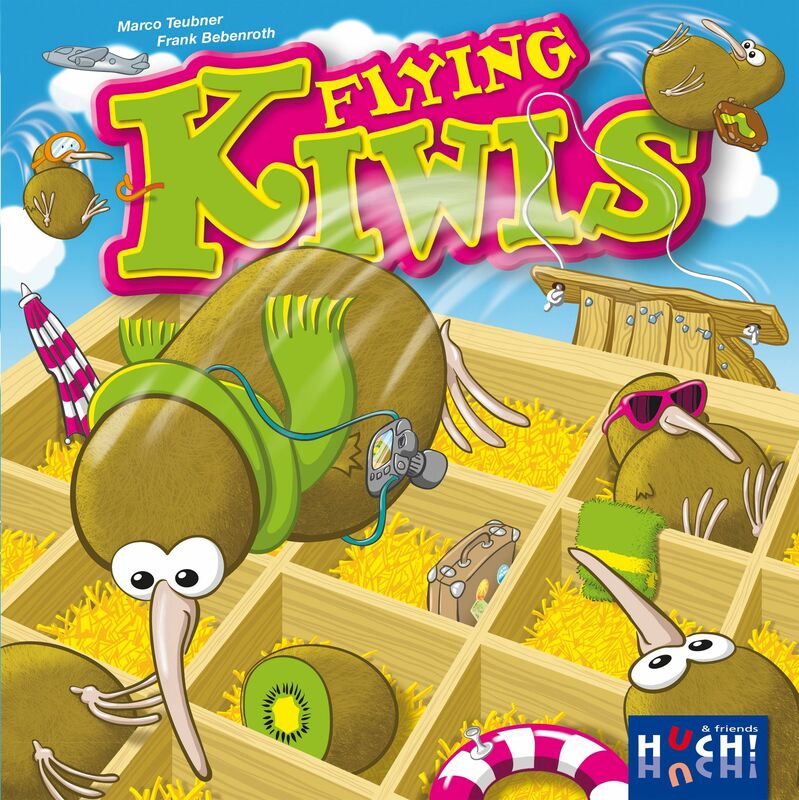 Using a ramp, players in Flying Kiwis flip their kiwis onto the game board. But watch out because once another player's bird covers yours, you can no longer score for this kiwi. It's sure to make you feel like a birdbrain!